Will Ireland experiment against Scotland? As the headlines say, the Grand Slam is gone. The Triple Crown and Championship too! So we have nothing to lose against Scotland by blooding some young players. Irish coach Declan Kidney has been talking for some time now about how many good young players have been biting at the bit for a run out. Well here’s his chance. 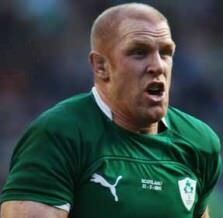 The current Irish team need to be revitalised and there is no better way than to introduce new players. With a three-test tour of New Zealand scheduled for June now is the time to act. Six Irish players sat on the bench in Paris. They need to feel they have a chance. Players like Eoin Reddan and Fergus McFadden are obvious choices. With the clock ticking for the likes of D’Arcy it’s time for a spell of bench duty for him and a few others. International rugby contributes nearly 80 per cent of the Irish Rugby Football Union’s income so winning matches is absolutely vital for the heath of the game. It’s time for some new kids on the block.